We enjoy getting feedback – especially the positive kind – and awards are tangible proof of outstanding work. 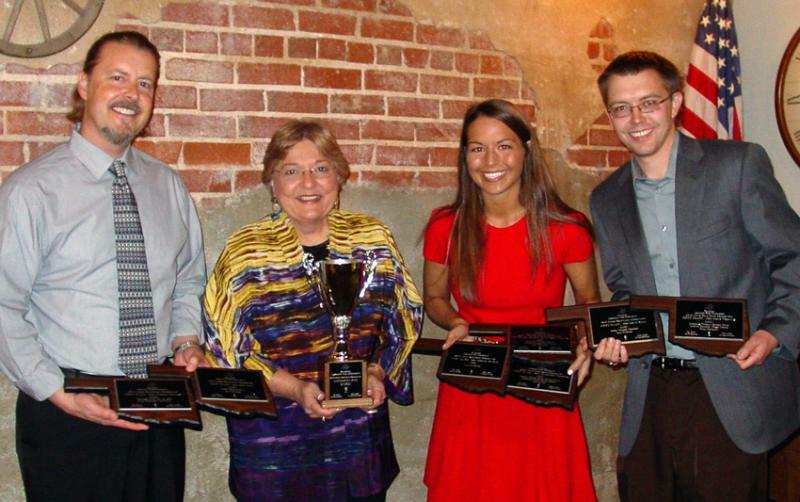 Oklahoma Association of Broadcasters awards are hard to come by, but this year KGOU picked up two. 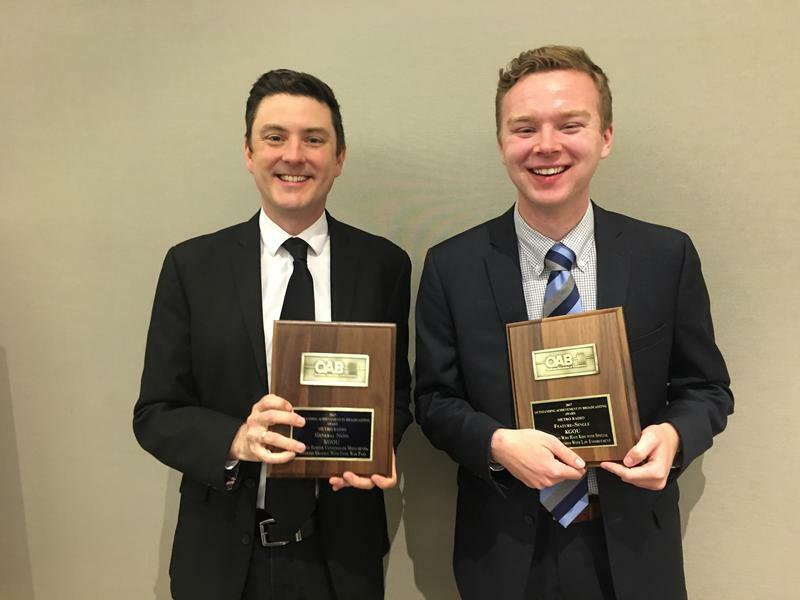 News director Jacob McCleland won first place in General News and host/reporter Storme Jones brought home a first place plaque in the Single Feature category. 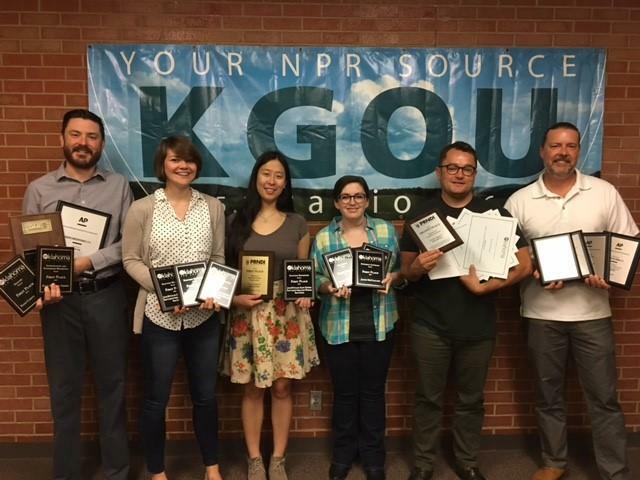 The annual journalism award season just ended, with KGOU winning the Sweepstakes Award for most honors in the Oklahoma/Arkansas Associated Press competition. 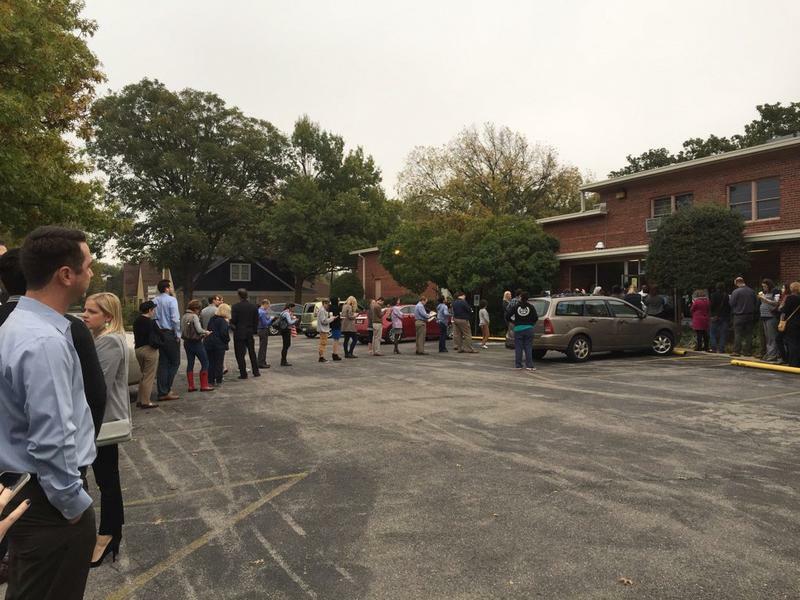 KGOU, KOSU and StateImpact Oklahoma (SIO) took First Place in Government Reporting for the Oklahoma Engaged Election Project. Oklahoma Engaged also received a regional Edward R. Murrow Award and a First Place prize from the Public Radio News Directors, Incorporated.